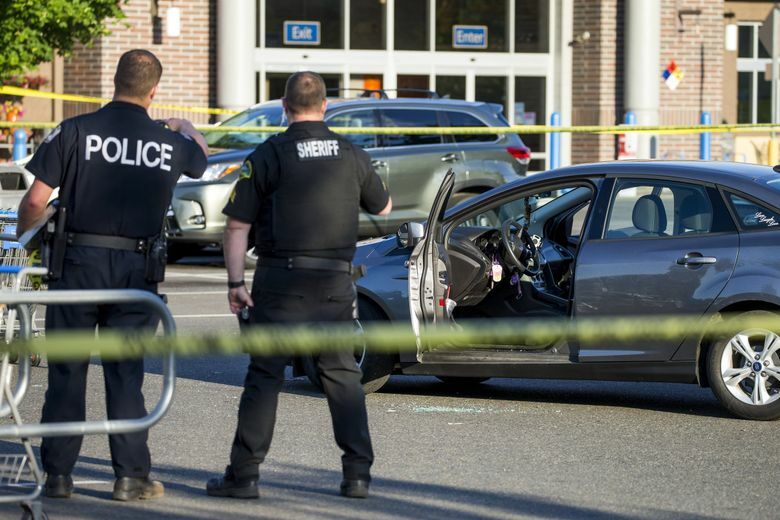 Police say the suspect shot and wounded a 16-year-old boy near Tumwater High School, where a carjacking led to a chase and gunfire in the Walmart parking lot. 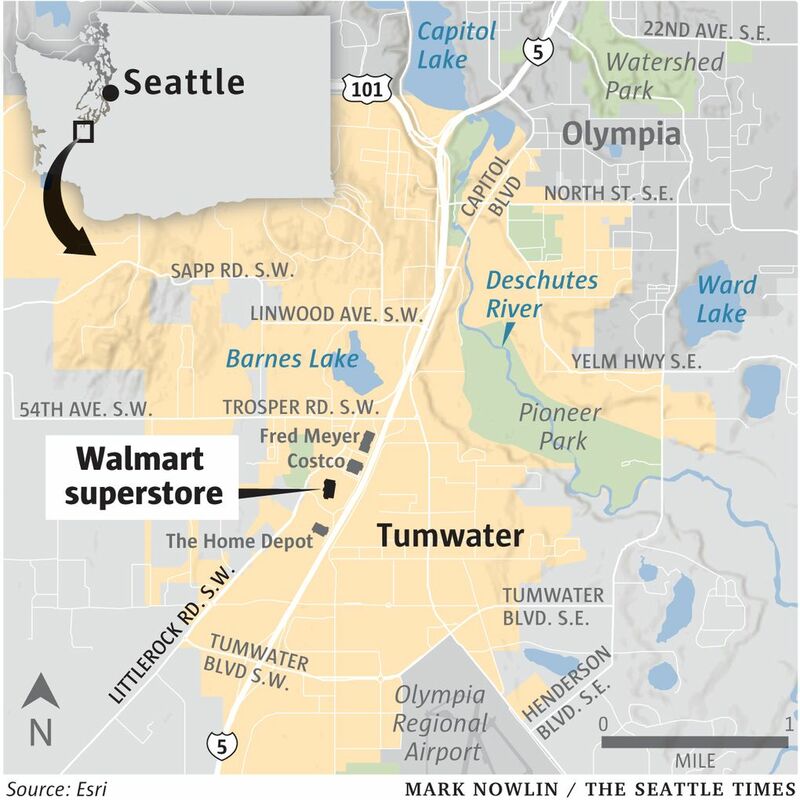 A pair of carjackings and a chaotic hunt for a suspect ended Sunday afternoon with the shooting death of an armed man by a civilian in the parking lot of a Walmart superstore in Tumwater, according to police and witnesses. Tumwater Police spokeswoman Laura Wohl said the driver of a car the suspect was attempting to carjack was also shot. He was taken by air ambulance to Harborview Medical Center in Seattle. Susan Gregg, a spokeswoman at Harborview, said the man was in critical condition late Sunday. A third victim, a 16-year-old boy, was injured — but not seriously — near Tumwater High School, police said. Wohl did not know whether the boy had been shot. The incident took place at a Walmart at 5900 Littlerock Rd. S.W. in Tumwater, about 63 miles south of Seattle. Police initially said the 16-year-old was a girl, but corrected the information on Monday. The Thurston County Coroner’s Office on Monday identified the dead carjack suspect as Tim Day, 44, of McCleary, Grays Harbor County. Day has a criminal history, including violations of a domestic-violence protection order, felony assault and making death threats. 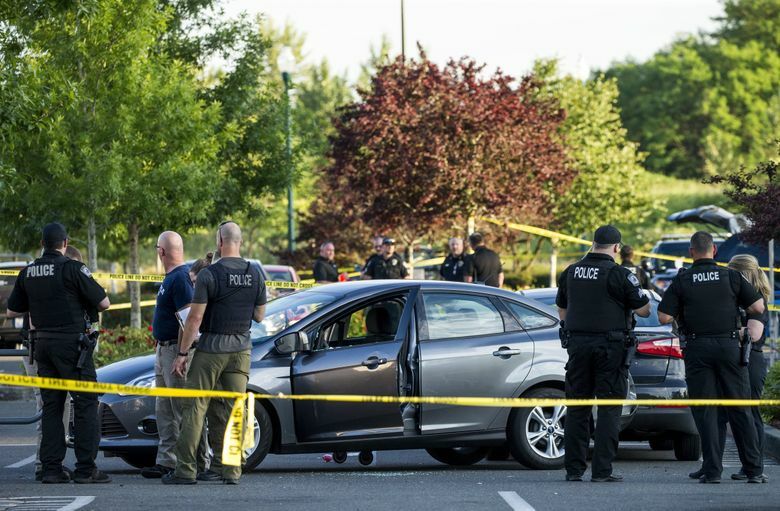 Wohl said the chaotic string of incidents began just before 5 p.m. Sunday with a report of a possibly intoxicated, erratic driver near Tumwater High School. Wohl said that while police were en route there, the department received reports of a carjacking and shots fired at a nearby intersection. That is when the 16-year-old was injured, police said. 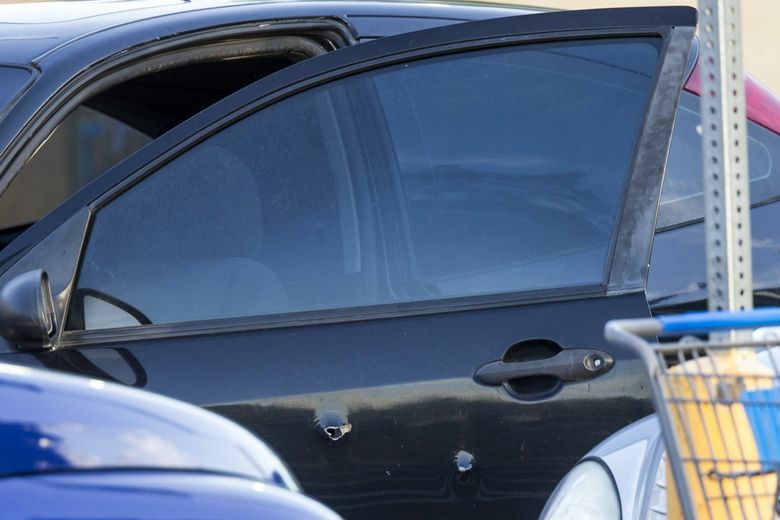 While officers were attempting to locate the vehicle, police received reports of additional shots fired about 2 miles away at the Walmart, where the suspect reportedly abandoned the first stolen car and tried to carjack another vehicle. When the driver wouldn’t give him the car, the man shot him, Wohl said. The suspect apparently was trying to carjack yet another vehicle when an armed civilian intervened and shot the man, Wohl said. Wohl said two armed bystanders moved to confront the suspect. One of the bystanders, a 47-year-old man from Oakville, Grays Harbor County, fatally shot the suspect, police said. Brian Adams had been shopping and took cover behind vehicles in the Walmart parking lot. Adams said he wound up being near where the suspect was eventually shot. Adams called the bystander who fired on the suspect a hero. “This guy could have taken out more people, wounded or killed,” said Adams. Wohl said that during the attempted carjackings, the man apparently fired into other vehicles as well. Witnesses recounted hearing numerous gunshots. The suspect’s body remained in the parking lot behind yellow police crime-scene tape for several hours. Police conducted an extensive search of the area for shell casings and other evidence. 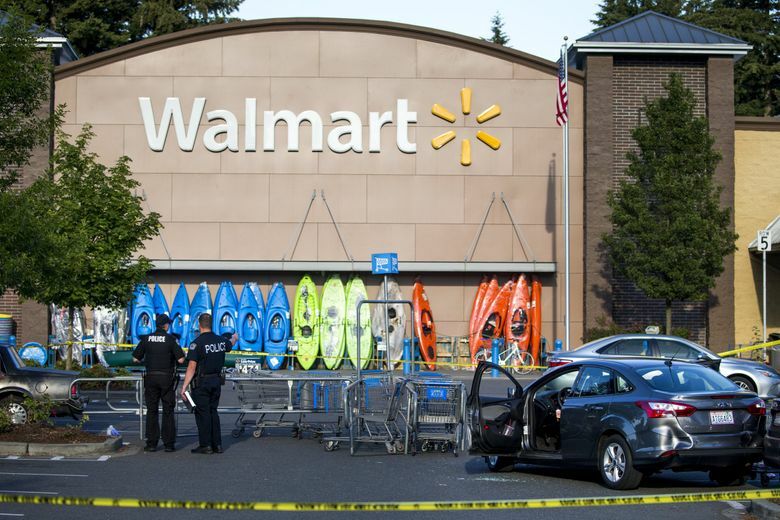 Wohl said she said didn’t know if the shooter ever entered the Walmart, though customers said they heard shots that sounded like they were fired in the building. Robert Berwick had stepped into Walmart to buy briquettes and a water filter. He was in the back of store when he heard shots in the building. He began to run and found his way out through an exit by the store’s pharmacy. 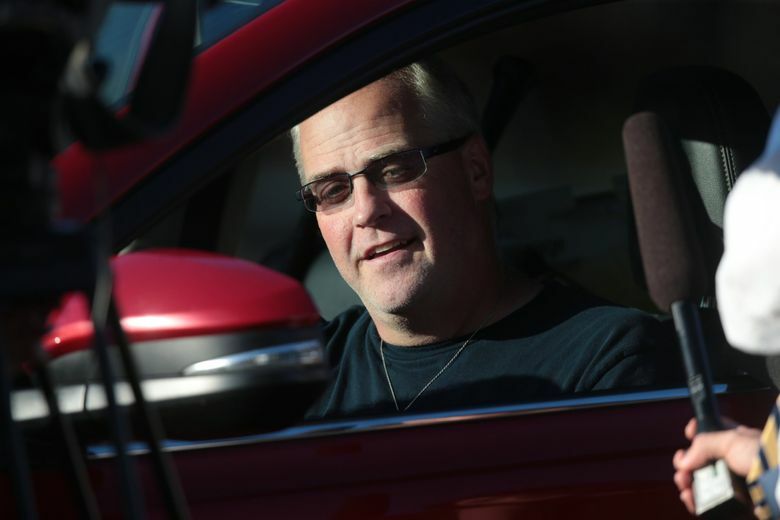 “There were all kinds of people running out,” said Berwick, 54, of Olympia. About 25 people gathered outside a gas station adjacent to the Walmart, many wearing company uniforms. Some of them directed vehicles away from the store parking lot, which was ringed with yellow tape. Washington State Patrol and Thurston County Sheriff trucks shuttled in and out of the Walmart lot.